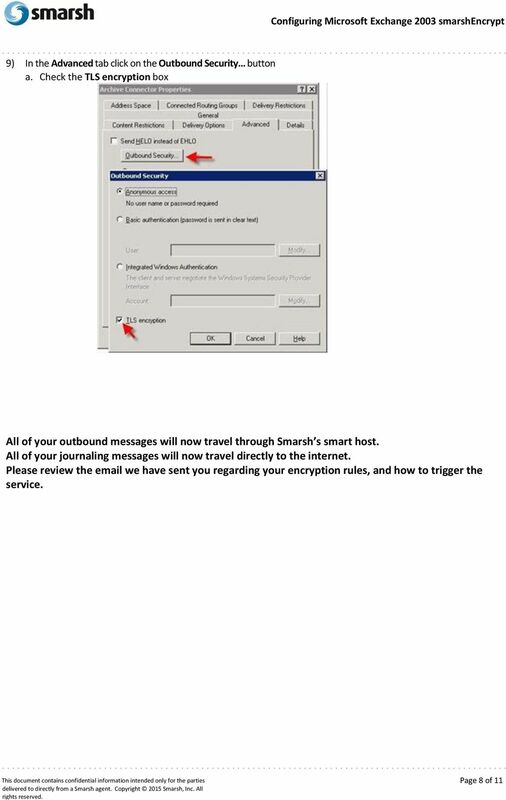 Versions Addressed: Microsoft Exchange 2003 Document Updated: March 25, 2015 Co nfidential Copyright 2015 Smarsh, Inc. All rights reserved. 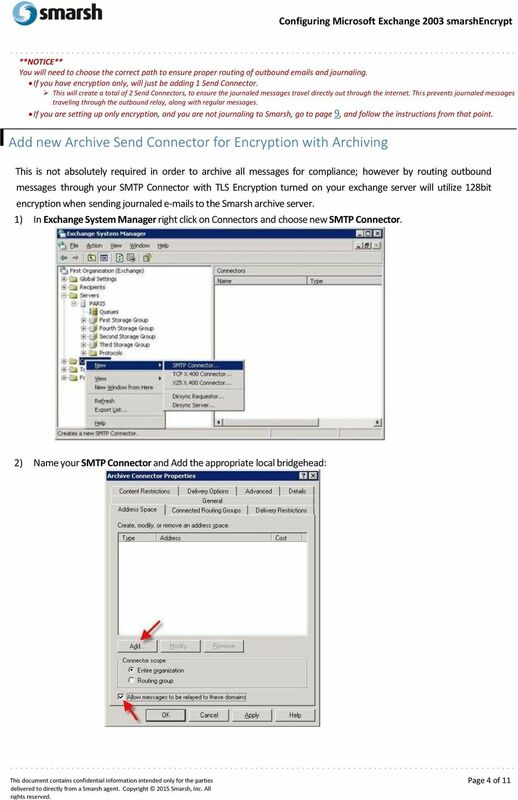 Download "Versions Addressed: Microsoft Exchange 2003 Document Updated: March 25, 2015 Co nfidential Copyright 2015 Smarsh, Inc. All rights reserved." 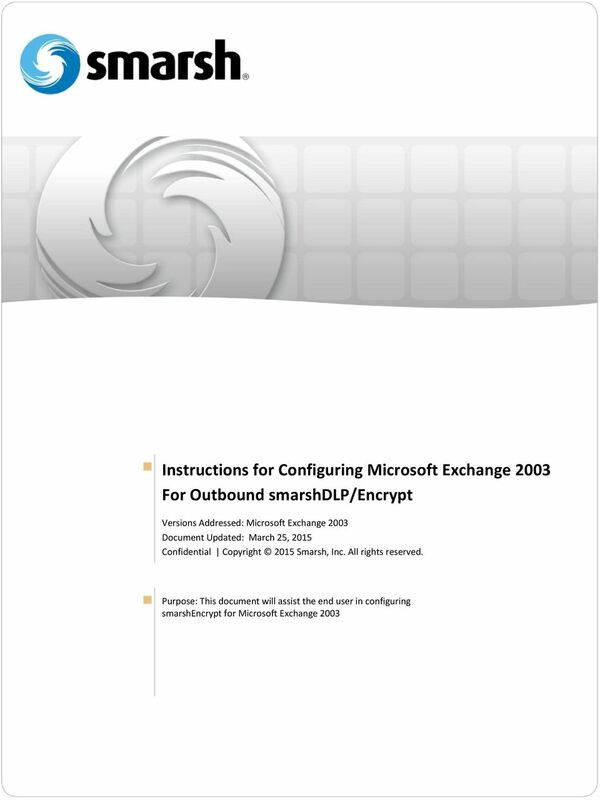 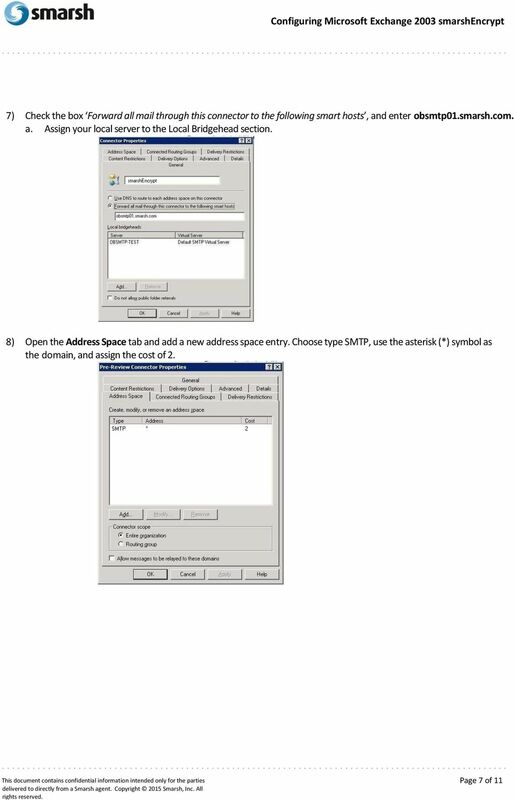 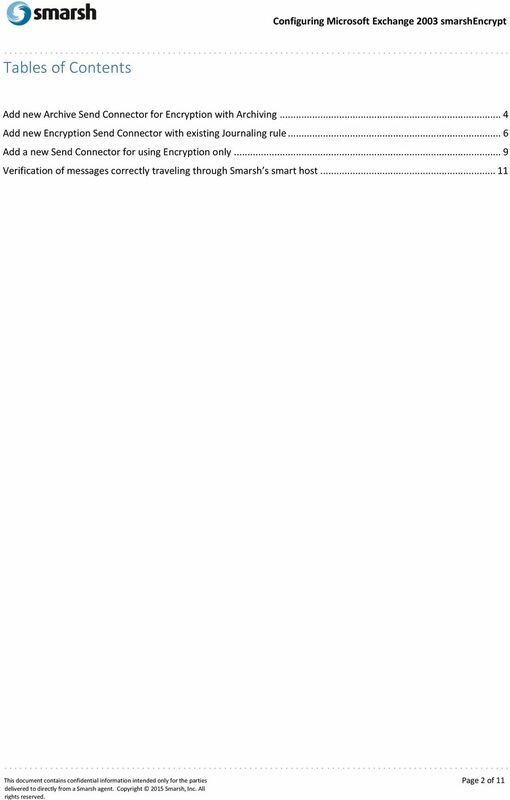 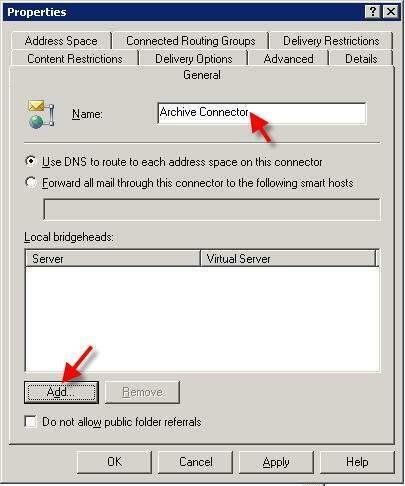 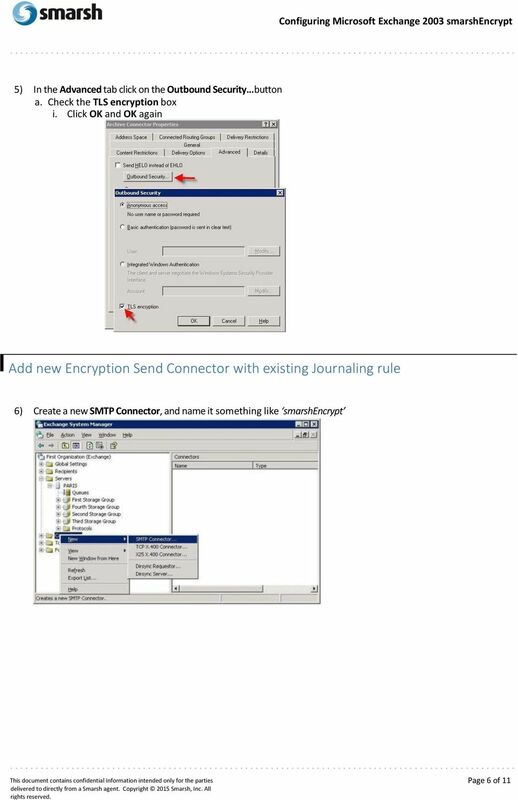 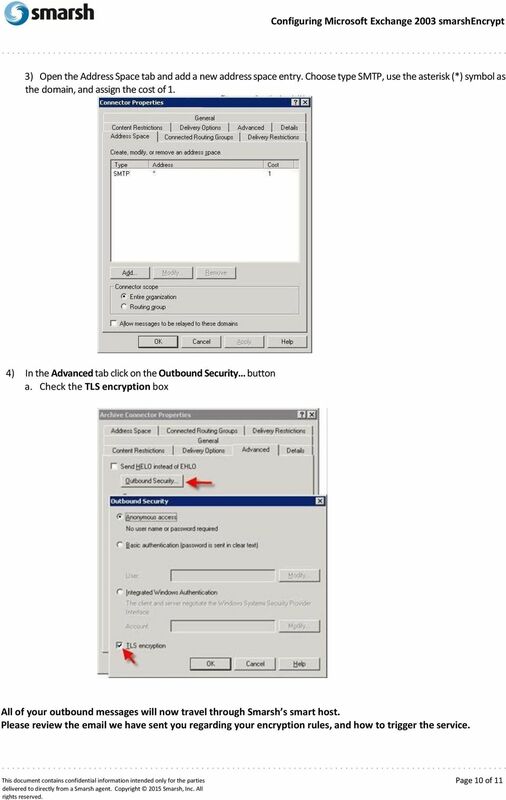 1 Instructions for Configuring Microsoft Exchange 2003 For Outbound smarshdlp/encrypt Versions Addressed: Microsoft Exchange 2003 Document Updated: March 25, 2015 Co nfidential Copyright 2015 Smarsh, Inc. All Purpose: This document will assist the end user in configuring smarshencrypt for Microsoft Exchange 2003. 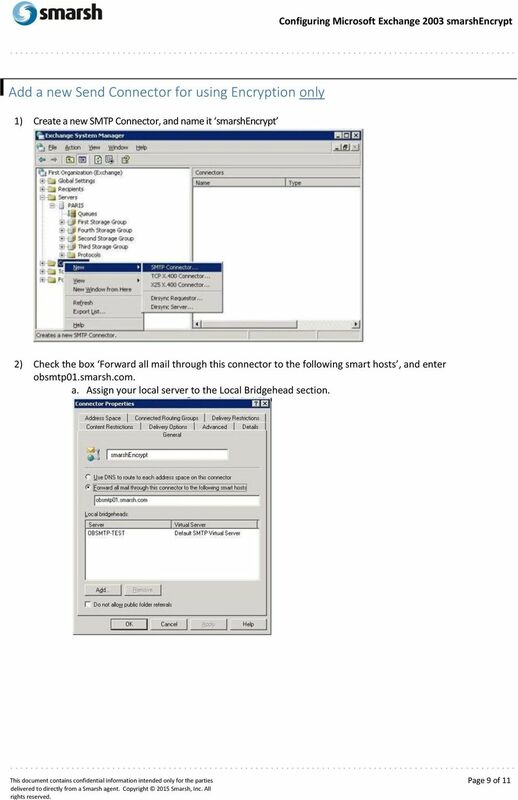 Training Installing and Setting up Microsoft DNS Server Introduction Versions Used Windows Server 2003 Setup Used i. Server Name = martini ii. 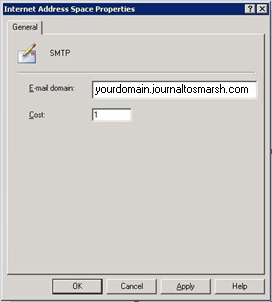 Credentials: User = Administrator, Password = password iii.